It’s a great option for the gardener, but you need to do some cooking before this poo turns into gold. 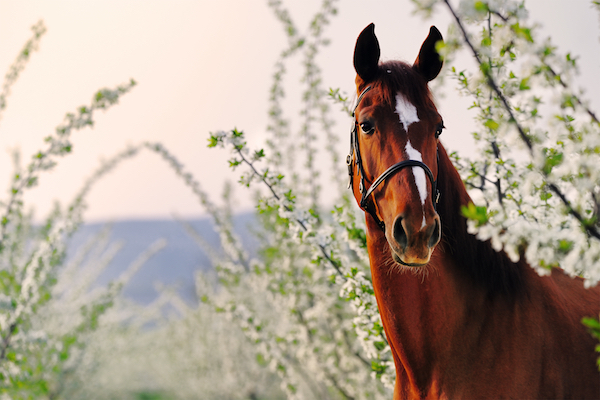 Horse manure makes a great addition to any garden, but it does have one big drawback for the gardener. Horses are somewhat inefficient as digestors – you will probably easily see a horse’s last meal in its droppings, whereas in a cow for example (that has four stomachs and is a careful digestor) you wouldn’t be able to tell. This means it will contain weed and pasture seeds that you don’t want growing in your garden. Hot composting horse manure should take of weed seeds but it needs to be a carefully controlled hot compost. Many home gardeners don’t get a true hot compost mix brewing and so some seeds may remain. If you want to use it fresh on your rose garden, you run the risk of seeds sprouting. Some gardeners cover the manure with a mulch, others just hoe the weeds out as they appear. This approach does save you double-handling the manure, from car/truck to compost to wheelbarrow to rose garden – why not just let it compost down on site and handle the weeds as they emerge? If you wish to take that route, the recommended thickness of the layer of manure is 5-10cm. 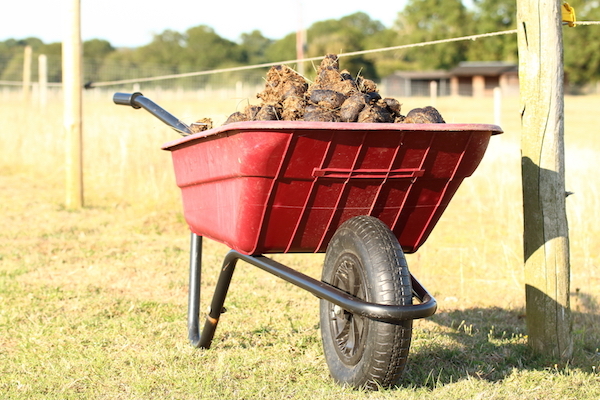 Hot composting horse manure will save you all the hoeing, the danger of weeds setting seed and infesting your garden, and it will kill any pathogens in the manure, making it more safe for you to handle. That pathogen risk is why we wouldn’t recommend putting any manure onto a vegetable garden while fresh (although if you’re digging it into the soil and leaving it to rot down over winter, or not allowing edible parts of vegetables to come in contact with it, your risk of getting ill is minimised, especially if you wash and then cook the vegetables concerned. Note: pig manure should not be used fresh at all in any garden due to its high level of pathogens, for the same reason you wouldn’t use cat, dog or human excrement. On the NPK scale of fertiliser, horse manure tends to be around 0.7-0.3-0.60 but don’t be misled by its low scoring. It contains large amounts of organic matter that feed and build the soil as well. That information comes from the Rodale Insitute, a US organic gardening research group, but they add a rider, that these values will vary depending on the diet, health status and age of the horse, and whether bedding or other material is mixed in with it. Most manure in its fresh state is too strong for most plants, with an alkaline level that is too high. However roses are pretty greedy and so are better able to handle the large amounts of available soluble nitrogen. That’s in contrast to most other plants that require a balanced mix of nitrogen, carbon and microbial activity (that compost will provide). You’ll need a good mix of compostable material, not just the horse manure, and reach a temperature of 80°C (and stay at that temperature for a couple of weeks). To do this, it’s recommended you create a compost pile that’s at least 2m across at its base. If you use some old netting to form a circle (and put your compost pile inside it), you’ll create a pile that has enough mass to keep up that critical temperature for the required time. Build up a layer of horse manure around 15cm deep, making sure it is damp but not wet (spray it with the hose if you think it’s too dry). At this point you could add a handful of nitrogen-rich granule fertiliser if you wish. Then add a layer of brown material (eg, tree clippings, hay/straw) and make that layer about 20-30cm (it will compact). Your end goal is to have a pile of compost that is 50% manure, 50% other additives. Repeat these steps until the compost pile is about 1m high. Leave it for at least six months. You can check it after a week to see if it’s steaming, or you can buy long thermometers at gardening stores to measure the temperature.